Winter Blast 3 day option is back this season! Depending on the number who choose to participate in the three day, you may have a different clinic leader on Wednesday. Confirmed clinic leaders are TBD. Come to Crystal Mountain and find out why this is our premiere PSIA National Alpine Team event, with current and/or past team members. You’ll have hosted breakfast each morning at the hill, a fun dinner Monday night and lunch on the hill Tuesday and Wednesday. “What is the PSIA National Alpine Team?” you ask. Our National Alpine Team is comprised of the “best of the best” from throughout the country. They are full time winter sports professionals who are excited to come share their passion of the sport with you. 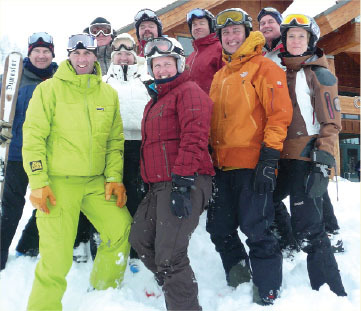 Improve your skiing with current and past PSIA National Alpine Team Members at Crystal Mountain. You’ll be treated to breakfast each morning, an après ski with clinicians Monday afternoon and lunch with the group on Tuesday. See what all the hype is about! Small class size guaranteed. Event also supported by Crystal Mountain.